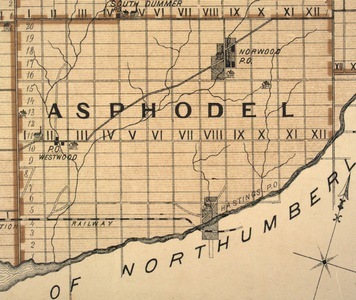 Before 1842, the Methodists in Asphodel were served by ministers on a Peterborough circuit. Services were held in homes. The Wesleyan Methodists built the first church in Norwood in 1836 under the leadership of Rev. William Young, who came to the Asphodel Mission in 1833 as first resident minister. He held services in homes and churches and served eighteen congregations in Asphodel, Dummer, Otonabee, Belmont, Percy and Seymour. It is recorded that he owned the first buggy in Asphodel. 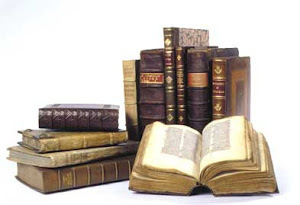 The Trustees of this first church were: James Becket, Peter Pearce, Pat Connon, Joseph Metcalfe and OliverBuck. Three succeeding churches have been built in Norwood to accommodate Methodist and now United Chruch families from the surrounding area of Aspodel and Dummer. Rev. Richard B. Rowe was born in 1842 in Cornwall England and died on Oct 20 1922 in Hamilton Ontario. He was buried in St. Catherine’s beside his first wife and mother of his children. In 1870 he came to Canada. In 1866 he married Mary A. Chirgwin who died in 1918 in Hamilton Ontario. Rev. Donald C. McKenzie M.A.